The “Team Aid the Silent Tee is a featured Next Level Short Sleeve Tee in military green. This very soft and comfortable shirt is made with 50% polyester, 25% cotton and 25% rayon. 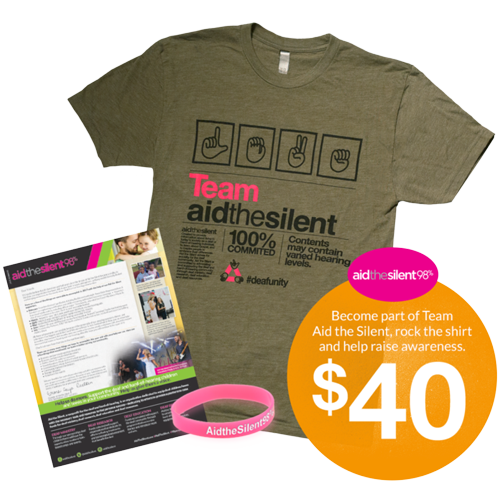 100% of all proceeds go to support the initiatives of Aid the Silent.